Assisting gifted students to achieve their ambitions is a critical component of the YAS Foundation work. A key component in this effort is funding students who have special skill and talents, not by a systematic process but based on quality, character and background. And as important, the scholarship effort grows beyond just providing funds. It also includes mentoring, advising and making sure that students have all the tools they need to grow into a global leader.  The YAS Foundation promotes the extensive achievements of the Persian civilization, bridging the more than 8,000 years of accomplishment and good deeds. It has accomplished this through working in partnership with various entities, including the Museum of Fine Arts, Boston. This cultural initiative continues to reach out and inform the public in part, by enabling publicly accessible cultural celebrations, and events. Universities are a major source for YAS Foundation in its efforts to propel broadband to the far reaches of our country and the world. YAS Foundation has committed to in-kind and financial donations of millions to the University of New Hampshire to create and operate the Broadband Center of Excellence. IT also has contributed to West Virginia University and to Stanford. The core element of Dr. Rouzbeh Yassini’s philanthropic mission is exemplified the YAS Foundation. The foundation extends its focus on expanding and strengthening future generations of global leaders. In pursuit of global community leadership, the YAS Foundation has pledged to gift its time and wealth for the betterment of education, culture and humanity. As such, since the establishment of the YAS Foundation, it has gifted its broadband knowledge center (YBKC) to the University of New Hampshire to serve as a platform on which each global citizen can access broadband. In addition to donating the $10 million YBKC, the foundation then committed $1 million and the volunteer services of Dr. Rouzbeh Yassini (father of the cable modem) over 7 years to empower BCoE to leverage UNH research, technology, outreach and education to ensure that broadband is available to the unserved and underserved around the world, which in 2017 the ITU estimated totaled about 3.6 billion people. Furthermore, the YAS Foundation provides mentoring for students as well as funding private scholarships for higher education in many disciplines such as Science, Business, Medicine, Management, Leadership and the Arts. Such private scholarships funds are established and named in honor of distinguished and accomplished prominent members of the society to enable and promote higher education. In this way, it is hoped that these students will benefit by gaining the insights and expertise to create culture-enhancing accomplishments and successes across the globe. The YAS Foundation, the “philanthropic arm” of Dr. Rouzbeh Yassini is an independent, non-profit, non-governmental, non-religious organization with a Board of Trustees. The foundation continues to focus on expanding and strengthening future generations of global leaders.